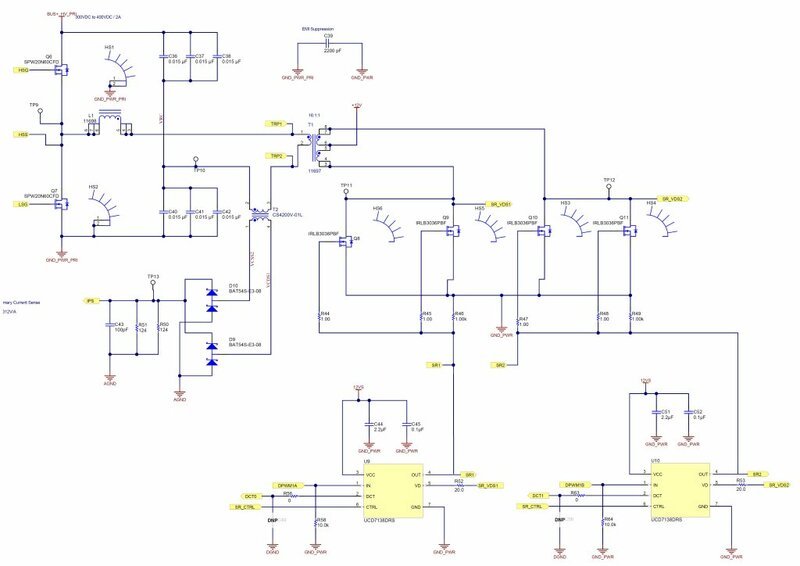 This design is a LLC resonant half-bridge DC-DC power converter with digital control using 3138ACC32EVM-149 daughter-card. 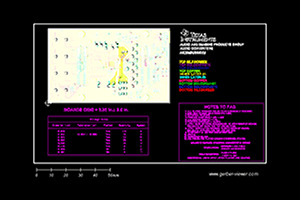 The daughter-card control functions with preloaded firmware providing the required control functions for a LLC resonant half-bridge converter. 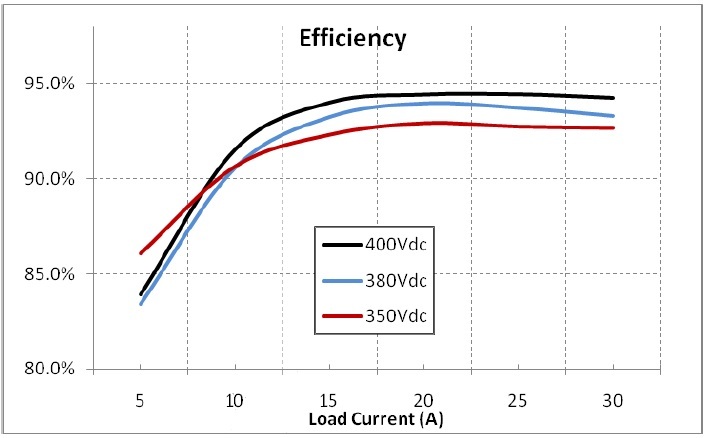 The TIDA-00512 (3138ALLCEVM-150) accepts a DC input from 350VDC to 400VDC, and outputs a nominal 12VDC with full load output power of 340W, or full output current of 29A.